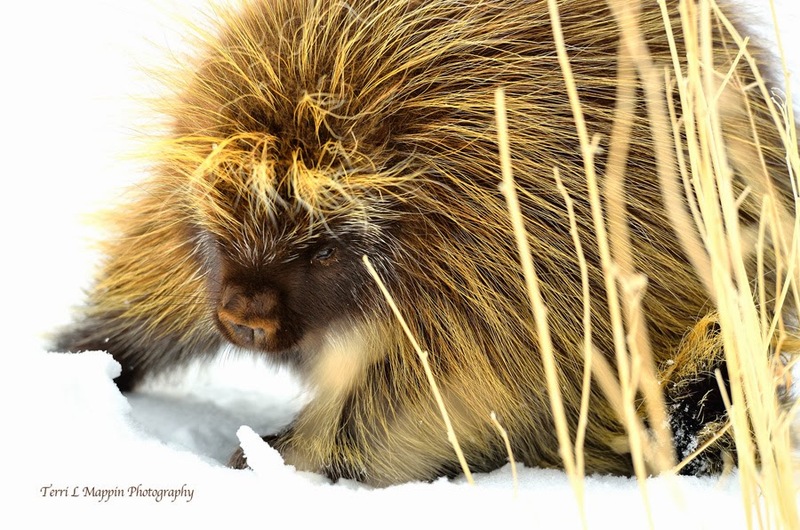 My intentions were not to share yet another porcupine image with you. However, the grand hopes for an Aurora display sadly fizzled to the wayside! Boo Hoo! So ... "Mama Porcupine" it is! She is often out eating when I am feeding the cows and yes, I do find her to be rather intriguing!